Apology Not Accepted is a no-holds-barred critique of common Christian apologetics. Blount is direct, informative, and highly entertaining. 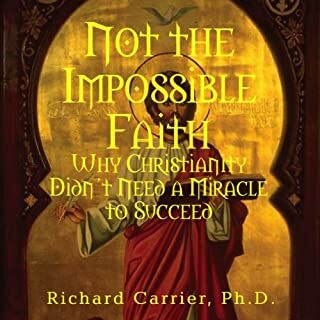 Richard Carrier, Ph.D., philosopher, historian, blogger, has published a number of papers in the field of ancient history and biblical studies. He has also written several books and chapters on diverse subjects, and has been blogging and speaking since 2006. He is known the world over for all the above. But here, together for the first time, are all of Dr. Carrier's peer reviewed academic journal articles in history through the year 2013, collected with his best magazine articles, research papers, and blog posts on the same subjects. Many have been uniquely revised for this publication. Others are inaccessible except through libraries or paywalls. 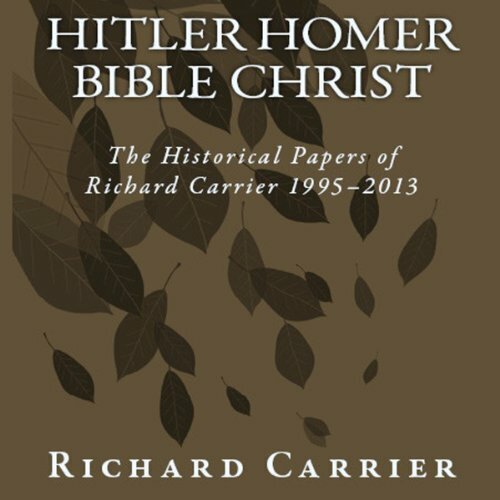 Twenty chapters include his seminal papers on the scandal of Hitler's Table Talk, the Jerry Vardaman microletter farce, and the testimonies to Christ in Josephus, Tacitus, and Thallus, as well as Carrier's journalistic foray into ancient pyramid quackery, his work on the historical and textual errancy of the bible, and more. 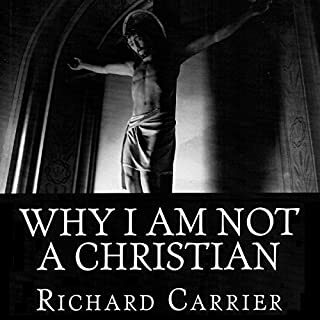 Having read other books by Dr Carrier I approached this one with caution. Another reviewer suggested that it was heavy on the detail, and this s very true. Given that this is an anthology of academic works, this was not unexpected, but it is tough going in patches, going into minute detail when you would prefer more of a narrative. I can see why this is the case, and I enjoyed it, but some chapters are a hard slog - overall I really enjoyed it. 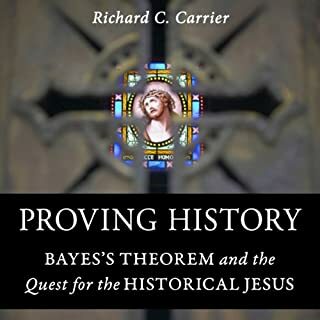 For those of you who have read Dr Carrier's work on religious topics, there is plenty in here on specific topics in that field. For me, I found some of the stuff on Roman culture, classes and ranks to be quite interesting, mostly because I have read an lot of books on Christianity but not on ancient civilisations. 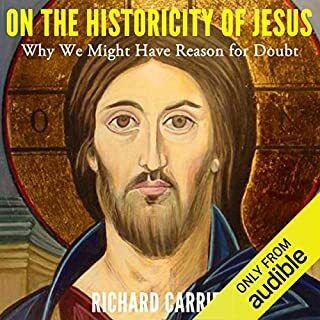 I was hoping to find Dr Carrier's book "The Christian Delusion" on Audible but it is not yet available. 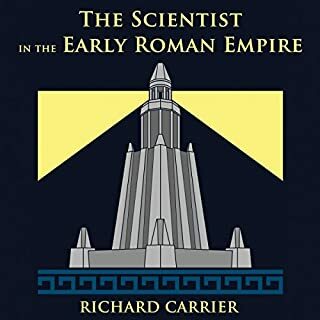 Having finished this book and also listened to some of the lectures online i think that many people would be interested in ancient civilisation and technologies. This is not a bad book at all. But at no point does it rise past the point of mediocrity. Carrier, a PhD, is an independent scholar. That has some good points--mainly, he doesn't have to worry about publishing in peer-reviewed journals to get tenure and can concentrate on writing what interests him. However, the lack of pressure to write rigorously for an admittedly narrow audience means he also has not amassed the body of work that one could expect of someone with his academic credentials. You might say, so what? Academics just write for other academics. True, but there is also a little bit of pressure to write at a certain level. This can lead to abuse (like the rampant plagiarism scandals that are plaguing academe) but can also force scholars to pay more attention than Carrier does to his writing. This book is a collection of everything from blog posts to papers he wrote as an undergraduate to papers he wrote as a graduate student and a doctoral candidate and a doctor of philosophy (Classics I believe is what he said his doctorate is in). So there is little unity (the title of the book might have tipped me off here) of topic or theme, and the quality of the writing varies. I will admit that while I admire his intelligence, listening to him read his undergraduate paper was almost painful. Believe me, I know that if any of my old undergraduate papers were published I would want to crawl under a rock, but Carrier clearly doesn't have the same crippling modesty. Anyway, not a bad way to pass a long commute for a few days, but not one I could in good conscience recommend as a great listen. Bottom line--meh. I quite enjoyed a few of these essays but some of the technical info is just little too dense. It by no means boring, however the exhaustive nature in which he addresses the topics can get tedious about half way in. 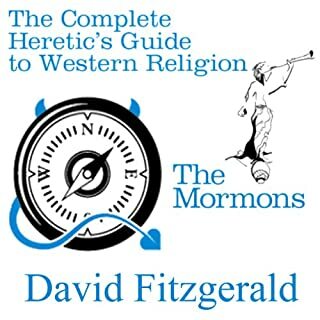 This would make for a phenomenonally good reference book but I didn't enjoy it as an audio book in the same way I have other nonfiction of a technical nature. Adolph Hitler is one of the 20th century's greatest enigmas. what was his true religion?